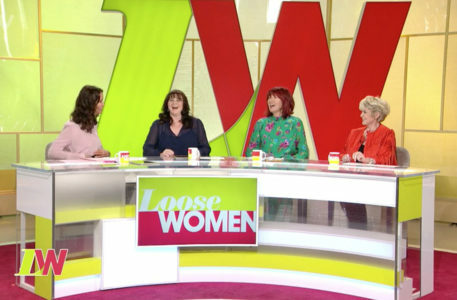 ITV’s “Loose Women,” a daytime panel show in the United Kingdom, debuted a new set with the network’s mass relocation of programming to Television Centre from The London Studios. 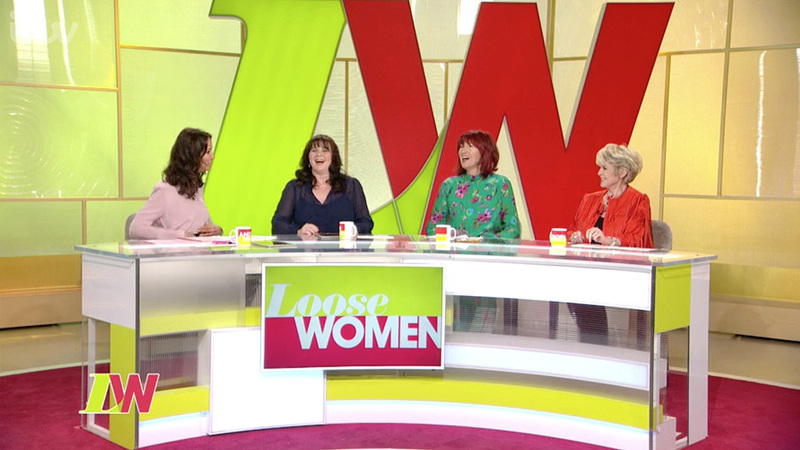 Presented by Ruth Langsford, Andrea McLean, Christine Lampard, “Loose Women” is a topical discussion show similar to ABC’s “The View,” covering celebrity gossip and news of the day. 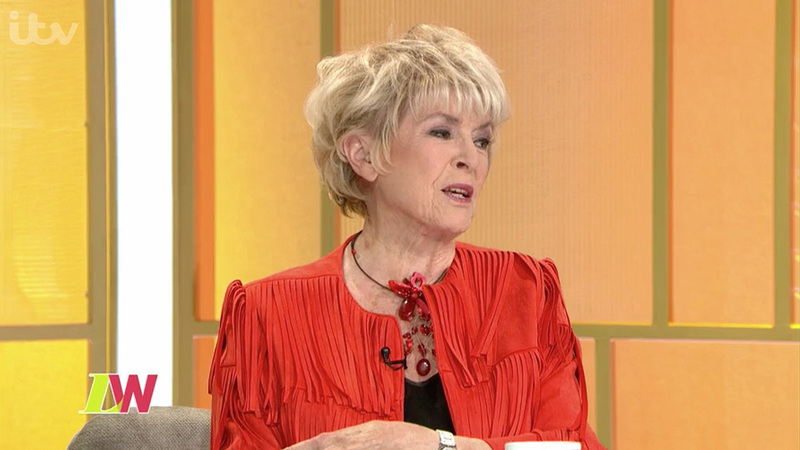 Sharing Studio TC2 with “Lorraine,” the set features an oval-shaped design with two tiers of audience seating. The design, from Sarah Milton, drops the wood tones of the past “Loose Women” set, also from Milton, in favor of bright colors that match the current show look. 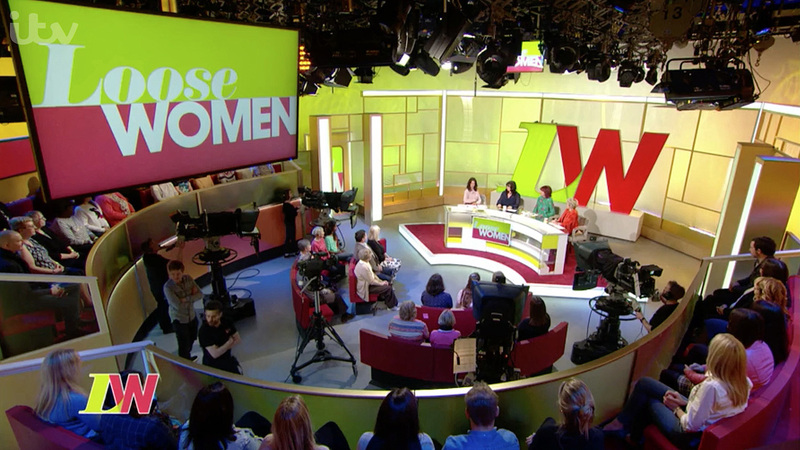 New set for ITV’s “Loose Women,” located in Studio TC2. 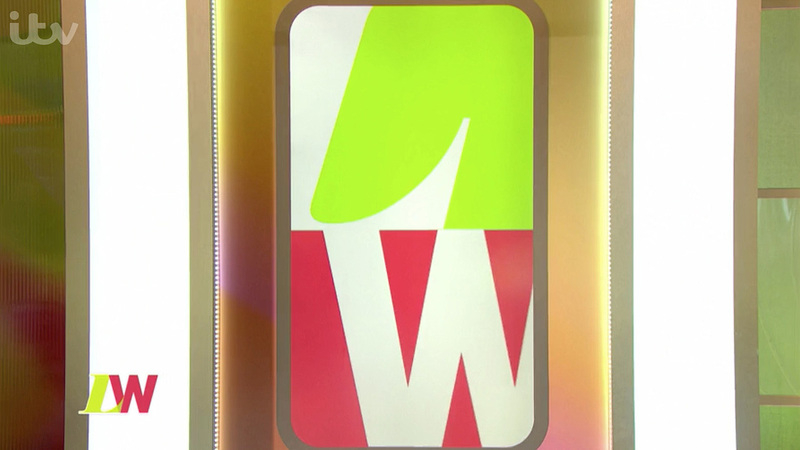 The main centerpiece of the design is a large, backlit “LW” logo, which mirrors the show’s graphical bug. In front of this, an arcing desk mixes plexiglass, a reoccurring design motif, with lime and white strips. Backing the space is a gradient-washed cyc that transitions from the show’s lime green color to an orangish hue with a variety of plexiglass panels of varying sizes and textures breaking up the background. These panels give the overall set an open feeling while also playing with the lighting design to create shading. On either side of the home base area are host and guest entrances that feature backlit columns and a video display, allowing for the person’s name to appear as they enter the space.